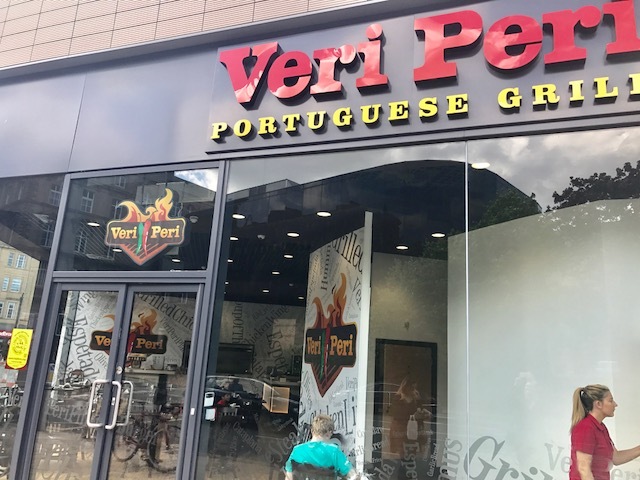 A few Sundays ago Ashton & I took a little round trip to Bradford to try out Veri Peri ! 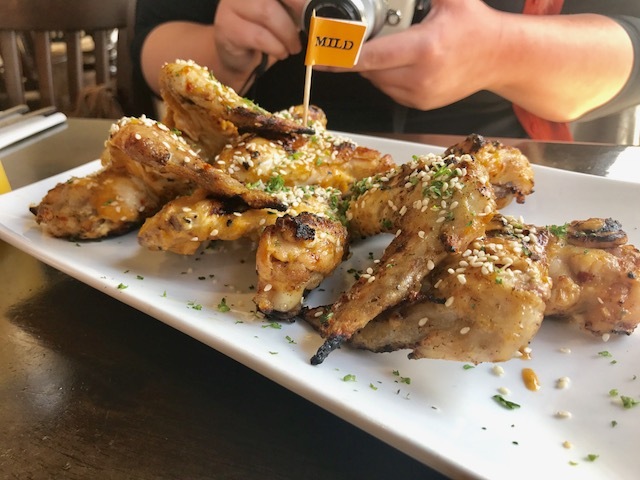 Its a portuguese restaurant based in the city centre and we where invited along to try out and review their menu. Having never been to Bradford before we thought why not. Its only an hour from Hull so we decided to give it ago. After getting slightly lost in the town centre due to a cycling event running through the city we finally found it and was greeted by the lovely staff. They ran through the menu with us and explained how we could choose what spice level we preffered. We choose a 'Quencher' to drink. 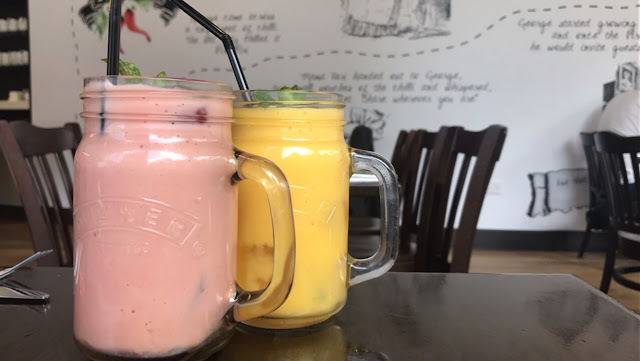 I had the Bumble Bee which was Strawberry, Guava, Mango and honey. It was so delicious! We then browsed the menu and choose our starters. 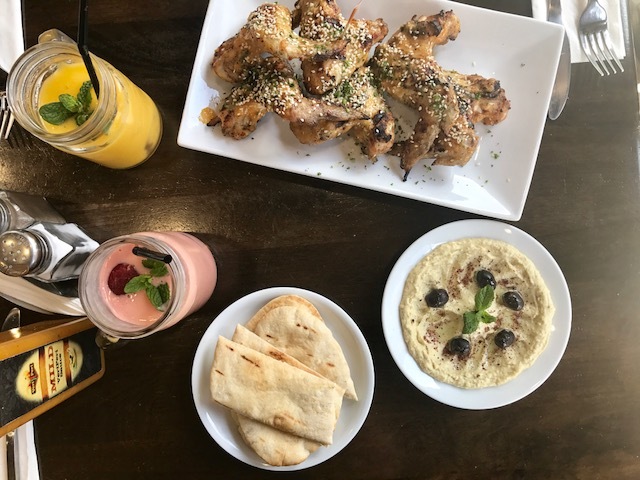 I opted for the Humous and Ashton had the Chicken Wings with a Garlic coating! The food looked and tasted amazing. We didn't expect to receive so much food! We where actually full just from the starter, despite being starving when we arrived. 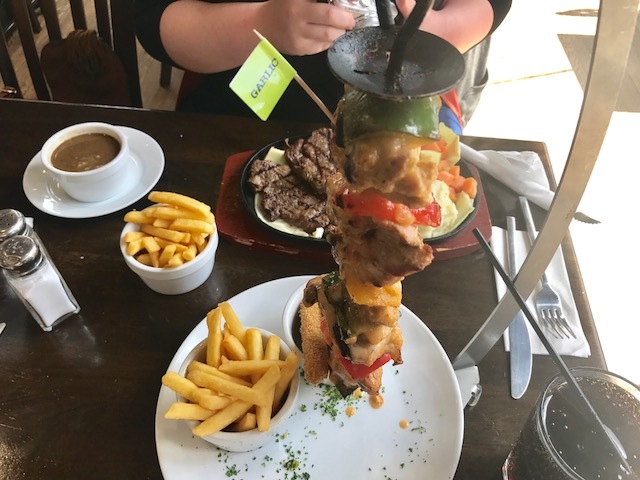 Our main meals quickly followed and they where equally impressive in size! 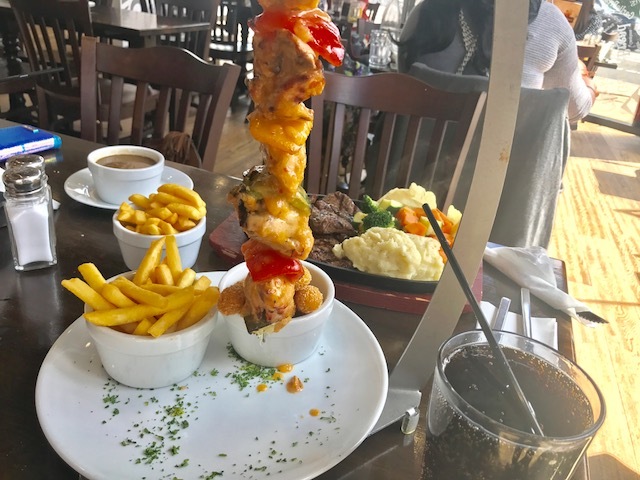 I choose the Chicken Espetada, it came with a choice of two sides so I ordered fries and mozzarella sticks. It was so so delicious. The chicken was cooked in a garlic sauce and I added a bit more as they had huge bottles to help your self too. We also got some more drinks which again you could refill and help your self. Ashton choose a steak which also looked really good. Finally after having a little breather, we could NOT resist a dessert! 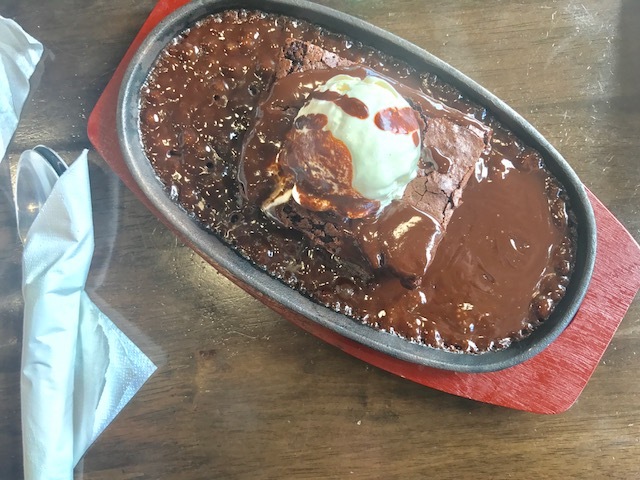 We decided to share the sizzling brownie with ice cream. 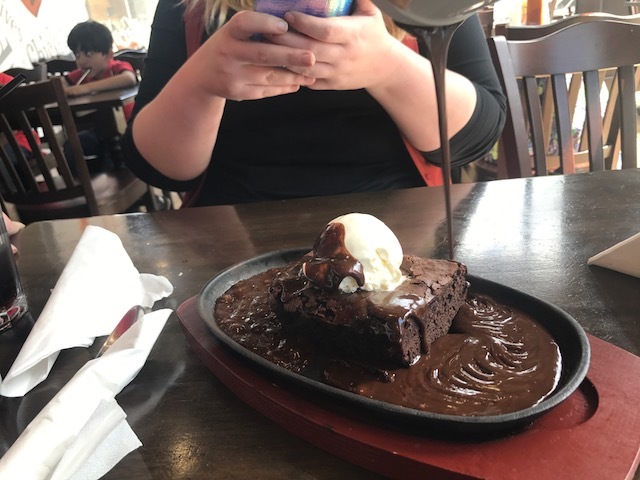 The server came over to pour over the sizzling chocolate sauce, it was amazing !! It tasted so so good and we nearly managed to finish it all. 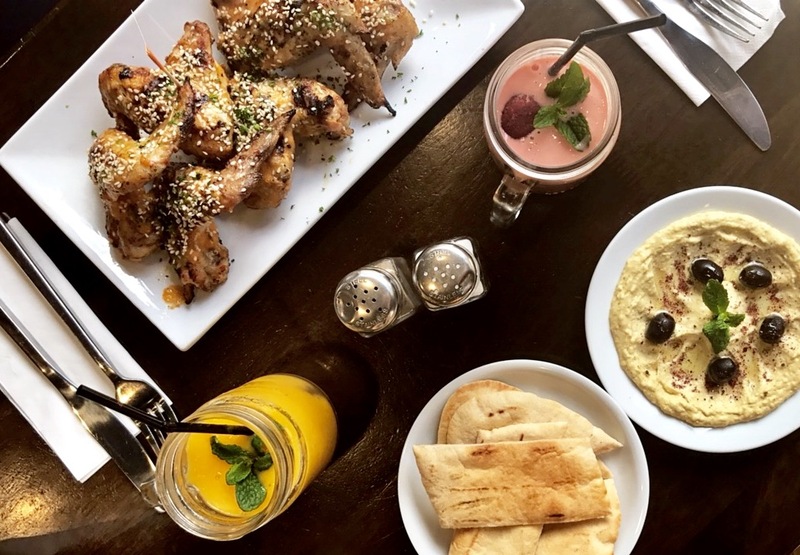 We had such a lovely afternoon and tasting some amazing food ! If you live in the area I would 100% reccomend a visit as you will not be disappointed. 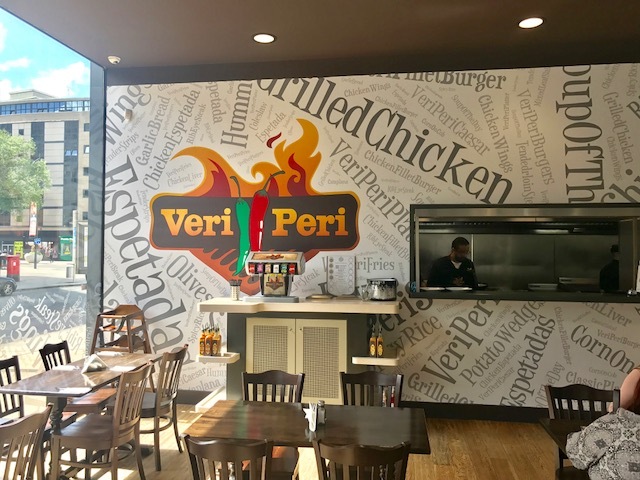 Thank you for having us Veri Peri. *We received a meal in exchange for a review post.